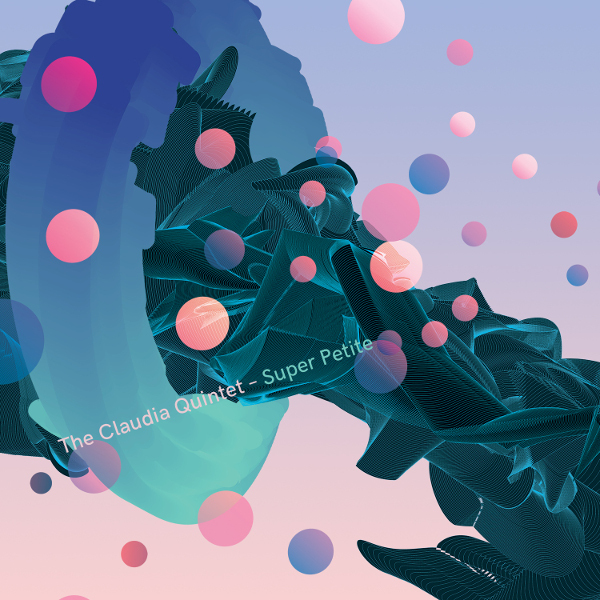 In the years since its formation, John Hollenbeck’s Claudia Quintet has recorded a series of albums that seem to exist in a world of their own. The two defining factors are the instrumentation and the compositional style of the leader. Drew Gress (acoustic bass), Chris Speed (woodwinds, chiefly clarinet and tenor sax), and Matt Moran (vibraphone) have been with drummer Hollenbeck from the beginning, and this is the second album for Red Wierenga (accordion). Certainly this combination of instruments would lend a distinctive sound to the group even if other composers were involved. But throw in Hollenbeck’s compositional voice, and the uniqueness is cemented. On those brief occasions when I think a change might be in order, I remind myself that Beethoven wrote 18 string quartets, Shostakovich wrote 15, and Haydn wrote 68, not to mention more from nearly every other composer from the 1750s on, and I’d never say that combination of instruments has been done, so no one need visit it again. So let Claudia’s lineup be Hollenbeck’s thing, and let it be what it is. This ensemble has yet to produce an album that was anything less than excellent, and Super Petite is no exception. This set of pieces finds Hollenbeck in perhaps a slightly jazzier mood, with some particularly great interplay between the bass and drums, and Gress getting several opportunities to take the lead, whether as a “solo” or as the composed melody. Several of the pieces feature quick rhythms with ostinato patterns on some combination of instruments while others play quick melodies that reinforce the rhythms; another situation involves a loping rhythm behind a seemingly wandering melody, but nearly every concievable combination is visited at some point. There is always a tonal complexity, with friendly dissonance and gentle clashing as the parts obey their own logic and work within the harmonic structures. While I wouldn’t say that the configuration of this ensemble will ever be a standard like a string quartet, it’s enough that Hollenbeck has carved out a place of his own and keeps producing such engaging music within it.